More than 7,100 islands (of which only 28% are inhabited) make up the Philippines. Between them, they offer rich biodiversity, 9 UNESCO World Heritage Sites, hundreds of kilometers of white sandy beaches, towering limestone cliffs and turquoise clean waters. 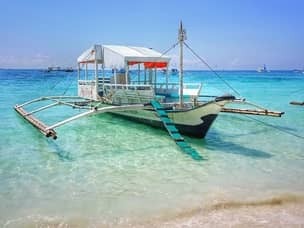 Couple this with the famous Filipino hospitality and you’re guaranteed a holiday of a lifetime. With such a variety of destinations, all separated by great expanses of ocean, it can be difficult to decide on an itinerary. We created this guide to give you all the information you’ll need to make the right decisions for you. Using our resources, you can start to build a personal travel package by compiling your favorite day tours, or amend an existing tour package. Our mission is to help you come up with a great-value vacation perfectly tailored to meet your needs. 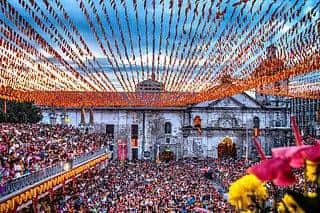 Our agency offers complete travel packages to all the major destinations in the Philippines, as well as day tours, which you can tag on or substitute for other activities. Our most popular tour packages are listed below, but you can visit our full destinations catalog for more ideas. Provide us with as much information as possible and our expert operators will get in touch to suggest any improvements to your itinerary and finalize the finer details. Being a capital city, Manila is better connected with most other parts of the country than anywhere else. There are plenty of international and domestic airlines, outrigger boats, ferries and public buses setting off daily to destinations far and wide. One option is to start in Manila and take a short trip to a nearby point of interest. 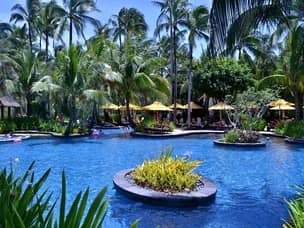 Beautiful and secluded beaches, luxurious resorts, scenic mountains, lakes and volcanoes can all be reached in just a few hours, and it’s possible to stay for just a few nights before heading back to the capital. If you only have limited time to spend in Manila, a day tour might be more appropriate. We offer exclusive tours that you won’t find anywhere else. Visit our Manila page to discover all the available options, or just get in touch with us and we can make suggestions based on your preferences. We will take your ideas and come up with the best plans with consideration for your budget and time restrictions. Boracay is the most popular island in the country, and with good reason. It’s full of fun-loving tourists, and has some of the most beautiful beaches in the world. 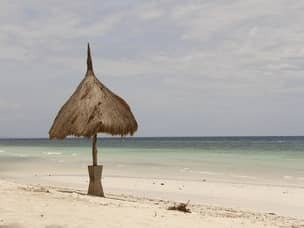 The island also offers an endless supply of activities, From diving and surfing to trekking or and extreme water sports. Just tell us what you like and we will your trip accordingly. We offer complete packages inclusive of transportation, hotels packed itinerary. Read our guide to Boracay to make sure you’re aware of what’s on offer. There are many very interesting activities and you won’t want to feel like you missed out! Palawan is famous for its incredible beaches, diverse marine life, stunning scenery, island hopping tours and adventure activities. Boat tours – usually a day in length – will allow you to discover the beauty of the Philippines both above and below the water. 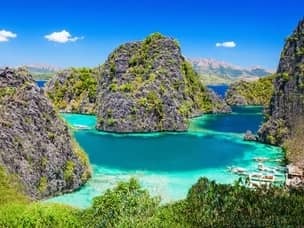 The islands of Palawan are filled with towering limestone cliffs, pristine beaches and secret lagoons. Many of our tours include additional activities, like diving, snorkeling, fishing or kayaking. However, feel free to make alternative suggestions and we’ll see what we can do. No trip to Palawan is complete without a visit to the famous subterranean river near Puerto Princesa. Hop on a boat and venture into the dark to experience a labyrinth of caves, caverns and limestone formations. The site was recently voted as one of the seven natural wonders of the world and is a UNESCO landmark. Read our guide to Palawan for help designing the perfect itinerary. Our team works hard to create exciting and unique personalized tours. We take great pride in our jobs and value feedback to ensure we continue to deliver exceptional services. Therefore, we always see to it that we incorporate your wishes and plans to create the best possible tours and activities! Browse our site to get an idea of the attractions that appeal the most, then allow to create a full itinerary based entirely on your personal interests. We can help you find interesting and fun things to do in all the locations you choose. If anything is missing, just drop us an email and we’ll tell you what we know or do the research on your behalf. We offer day tours suitable for solo travelers, couples, families and large groups. If you are by yourself, you can book a private tour or join a group to make it cheaper. Either way, our experienced tour guides will be with you every step of the way. We take your budget considerations very seriously. Our mission is to provide value for money, so we work hard to make sure you enjoy the best deals. We fully understand that the costs of a vacation can quickly add up. So, we offer discounts to those who purchase multiple items through our site, or use our custom made package services. The great thing about the Philippines is that even if you’re on a budget, you shouldn’t have to compromise too much. We can find you great accommodation and activities at very affordable prices, and our guides will ensure that you get the most out of your budget. If you’re looking for a once-in-a-lifetime VIP experience the Philippines should top your list. Not many countries offer such luxurious services at such affordable prices. Our luxury tours include some highly indulgent activities – from VIP helicopter rides over the islands, to private a luxury cruises with a personal guide. Just let us know what your dream vacation looks like and we’ll make it come true. We build day tours and travel packages around specific activities. If there’s something you have a particular interest in, we can create an itinerary with that in mind. If you enjoy immersing yourself in the local culture, our tours can widen your horizons about Filipino heritage. There are fascinating museums and historic sites across the country. Our cultural packages include culinary tours, local festivals and extravagant parades, as well as introducing you to the local music and arts. If you are the adventurous type, we also offer nature and adventure packages. Our most popular is the water experience – an itinerary full with water activities. 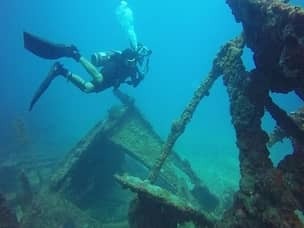 Depending on which location you pick, you might find yourself swimming with whale sharks or diving inside WWII2 shipwrecks. Our island hopping tours include a variety of activities, such as kayaking, fishing, snorkeling and even sailing. Another popular option is our surfing package, which can be custom built to suit your personal preferences and seasonal weather conditions. The Philippines is undoubtedly one of the most beautiful places on earth. Endless locations offer jaw-dropping, eye-popping scenery. Many tourists come in search of beaches where they can simply bask in the sun and relax. That’s why we’ve also created bundle offers for those in search of the best beaches, resorts and island locations. You can add any fun activities you like, but the primary focus is luxury and relaxation. For nature lovers who are not afraid to get dirty, the Philippines has a lot to offer as well. We’ve designed hiking packages especially for people who wish want to experience the local wildlife. It’s your choice whether to use our private tour guides or follow our tips and advice and head out by yourselves. Whether it’s adventure or relaxation you’re after, the Philippines will easily satisfy your cravings. We’ll ensure that your journey in the country is not only safe, but an experience you will never forget. We also heard that we can do expeditions from Coron to El Nido, stopping and camping at secluded beaches and locations. We would also love to do this for 3days/2nights. Could you please give us a quote for how much this would be? One quote with flights from Brisbane and one for just the tour in the Philippines (no international flights). Also, we would like to do the tour by ourselves (privately aswell) however have transportation and the private tours organised – so no tour guide. We are looking for budget to midrange accommodation. Hey Katrina and thank you for your comment. Everything you requested is possible, our agents will contact you soon with an offer. The Full expedition between Coron and El Nido takes 5 days and 4 nights to complete. This is an organized group and no private tours are allowed. There is also a shorter tour available – 2 nights and private like you asked, but you’ll only manage to complete part of the trail. When in Palawan, wouldn’t you like to try out some diving as well? it’s one of the best places to dive, and perfect for beginners. We can easily incorporate it into the island hopping tours you requested. It might be better to drop Aguinid Falls – it’s a bit unrelated to anything else in your plan. It’s possible to squeeze it in if you really want to, but it seems like a shame to spend half a day on a single attraction. That is especially true when you already have both Kawasan and Tumalog Falls, which fits your itinerary much better.